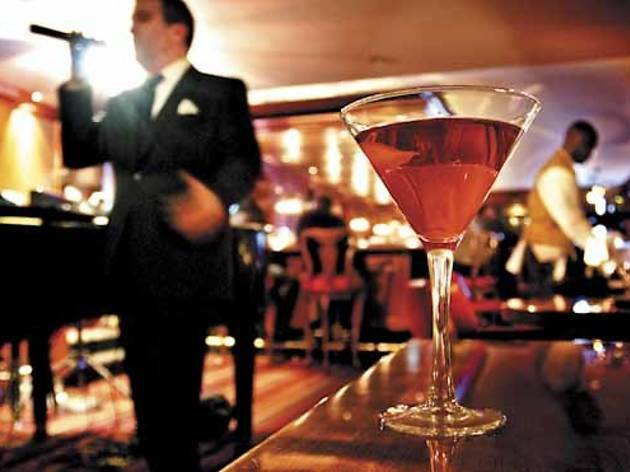 The live music is better than the cocktails at this historic bar. History The Berghoff was the first restaurant in Chicago to receive a liquor license after the repeal of Prohibition in 1933. Coq d’Or in the Drake Hotel was the second, opening its doors on December 6 of that year and remaining a paragon of style and prestige for decades. Crowd About 80 percent of the guests are over 40, and 100 percent appear to be tourists. Noise The best part about the Coq d’Or is the live music on weekends. 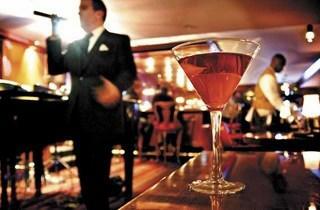 The night I visit, a trio plays quintessential hotel-bar piano music (Gershwin, Porter, Sinatra) at a polite volume. Creativity The “concept” for the Coq d’Or’s Disneylandish cocktail menu is to offer a single cocktail from each decade of the bar’s existence (e.g., a mai tai for the 1940s, a cosmo for the ’90s), which leads to a random selection of drinks, none of which break new ground. Quality Though drinkable, the classic cocktails seem skewed to a sweeter, less discerning palate than at the newer guard of cocktail bars. Value I save six bucks by ordering an “Executive” Templeton Rye Manhattan for $24, which is twice the size and contains double the liquor of the $15 “cocktail” size. But by the time I’m done, the drink is room temperature. Final evaluation Live music, polished service and a conversation-friendly noise level keep the spirit of the Coq d’Or alive, but the tired look of the room (despite renovations in 2011) and the cheesy, out-of-touch cocktail menu make this place feel less like a 1930s hotel bar and more like it was modeled after one.